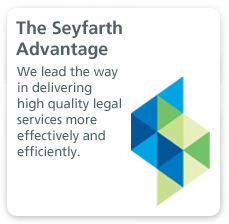 An integral component of the SeyfarthLean client service model, legal project management facilitates the delivery of efficient and effective legal services. We have the largest group of Legal Project Managers (LPMs) in the industry, staffed with credentialed project management experts. 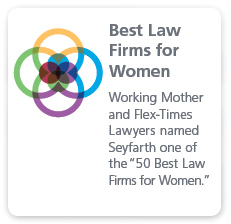 They are dedicated to working with our attorneys and client teams to create efficient and cost effective solutions via project planning, client management, process improvement and unique client and legal service delivery solutions. 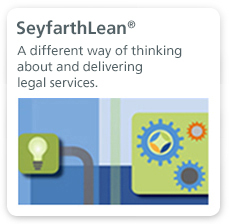 Our Legal Project Managers bring practical business knowledge to client engagements, drawing upon many years of working with clients in legal matters and their training in project management, Agile, Scrum and Lean Six Sigma. They play a key role in ensuring that complex matters are clearly defined and scoped at the outset, assisting in the development of process controls, right-size staffing, budgeting and an agreed-upon schedule to meet the client’s operational and strategic goals. Throughout the course of an engagement, legal project managers make certain that the activities of all team members are focused on the highest priorities, integrated with the strategic plan and delivered in the most timely and cost effective manner, allowing clients and partners to focus their time and attention on the most critical legal aspects of the matter.